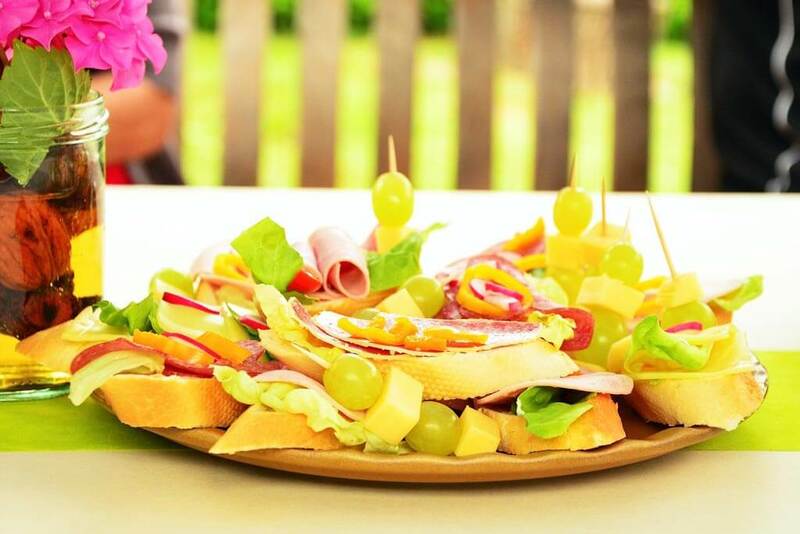 France is a paradise for foodies and each region is characterized by its own distinctive French cuisine and products. Paris and Ile-de-France are central regions where almost anything from the country is available. 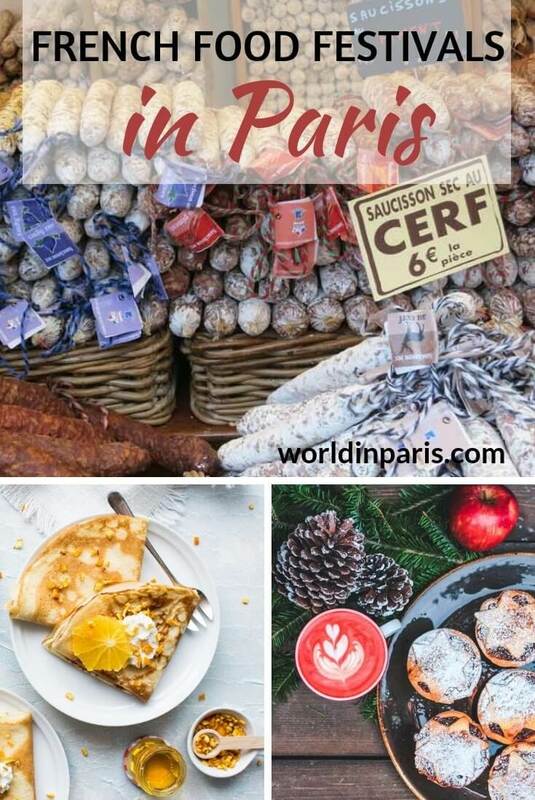 When it comes to choosing delicacies to try in Paris you are pretty spoilt for choice: over 9.000 restaurants, something like 1.800 pâtisseries and weekly farmer’s markets proposing delicious French food in every Paris arrondissement. But it is not only about restaurants and other food establishments: Paris food culture also means fantastic French food fairs all year round. So get your taste buds ready: this is the list of best Paris Food Festivals that foodies cannot miss. If you are planning a trip to Paris during the coming months, check the latest French Food Festivals 2018 and the first French Food Festivals 2019 and perhaps you can add one or two food events on your to-do list! NB: we don’t know about any French food festivals in Paris in July and Paris in August. This is probably because it is too hot for some kind of food like cheese? If you know about any food event happening during these months, feel free to drop us a line. The epiphany is a Christian celebration commemorating the visit of the three kings when Jesus was born. On this day French homes eat the traditional Galette des Rois (Kings’ cake). This French cake consists of flaky puff pastry layers with a dense center of frangipane or apple. You will find the galette everywhere in bakeries and pâtisseries in Paris (and France) during all January. 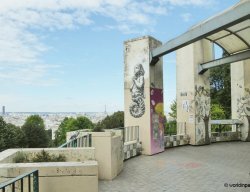 Montmartre neighborhood kicks off the year with this beautiful festival to honor coquilles de Saint Jacques (scallops). Scallops are the main star but there is also wine, cheese, oysters, and other traditional French food with selling stands and food tasting. This is a good opportunity to get a taste of Paris. For one week, this Paris Cocktail Festival invites people to discover new cocktail recipes in more than 50 bars and pubs spread all over the city. But it’s not only about drinking, you can also learn how to make your favorite cocktails or some new exotic recipes thanks to their workshops with the best professionals in the market. Cheers! This is the Crêpes Day in France! Eat your favorite sweet crêpe in traditional crêperies or little bistros in Paris. 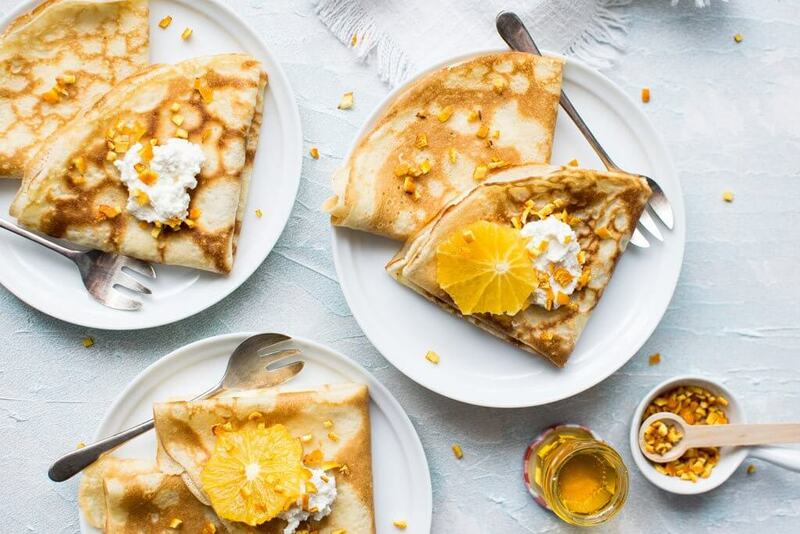 During this day, crêpes are also proposed by food trucks and bakeries. This festival of food celebrates the youngest, and creative cuisine in France and worldwide. Come to this festival to learn, discuss, meet and exchange with young and talented chefs from all over the world. Of course, there are also lots of delicacies to taste so it’s the perfect event in Paris for foodies. This is a quite new food festival which is already one of the Parisians’ favorites! Bouche à Bouche is a good food and wine festival that also features excellent music. The idea behind this festival is to listen to DJ sets while eating delicious food. The festival also proposes food workshops with renowned chefs and also a good choice of drinks like wine, beer, champagne or coffee. 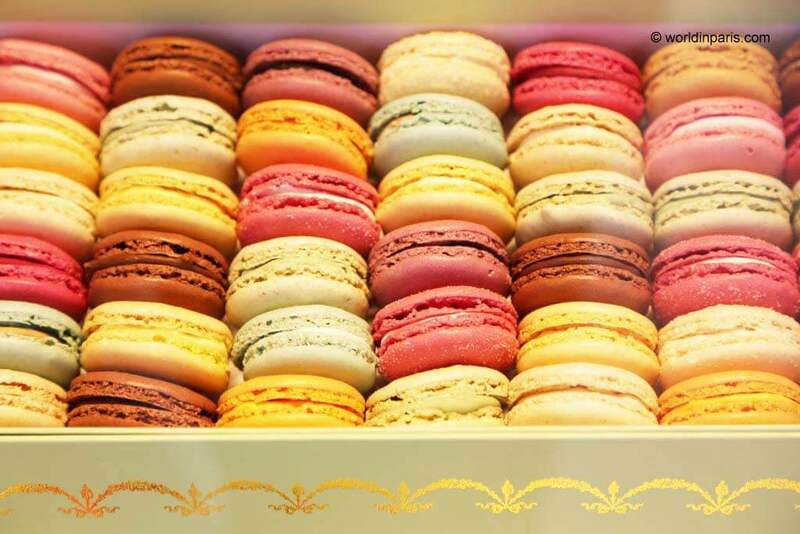 These little and colorful pastries, well established in Paris thanks to names like Fauchon or Ladurée, were actually born in Italy and imported by Queen Catherine de Medici. Today macarons have their own day in France, just one day before spring! Macarons Day has a charity purpose: one donation (un don) = one macaron. Donations go to a charity association so this is a very sweet way to help. In France, there are so many kinds of cheese that we could eat a different cheese every day! Cheese has a dedicated, National Day in France, the Cheese Day, with events throughout France, also in Paris. How many kinds of French cheese do you know? Well, this is the day to taste new ones! Because cheese cannot be far from wine, usually Cheese Festivals come with wine tasting stands. In this Paris wine festival, more than 600 independent wine-growers from the best wine regions in France present their latest wines: reds, whites, rosés . . . anything you can dream. To appreciate all this goodness better, the fair organizes wine tasting workshops at least three times a day. Cheers! Warm, crunchy baguettes are definitely a Paris food affair. Every year, hundreds of Parisian boulangers participate in this contest organized by the Bakers’ Union to choose the best baguette of Paris. 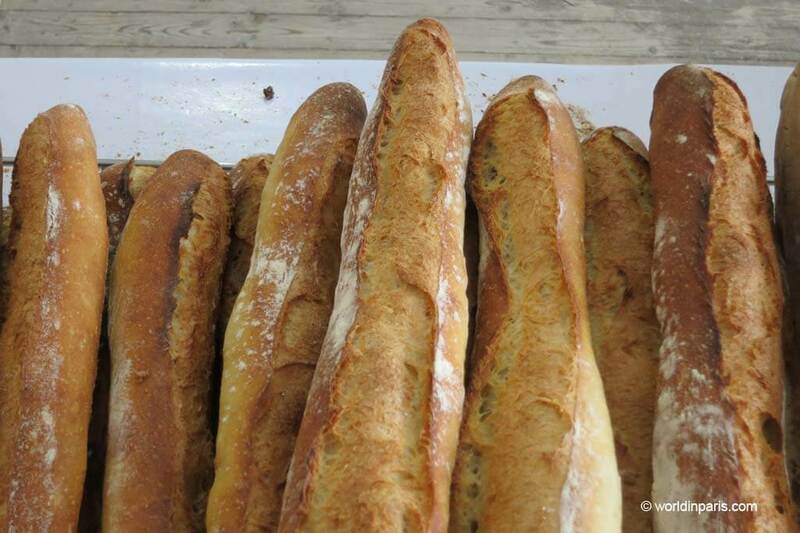 The contest is very hard and baguettes must follow very strict conditions: baguettes must measure 55 to 65 cm, weight 250 to 300 grams and have no more than 18 gr per kilo of salt. 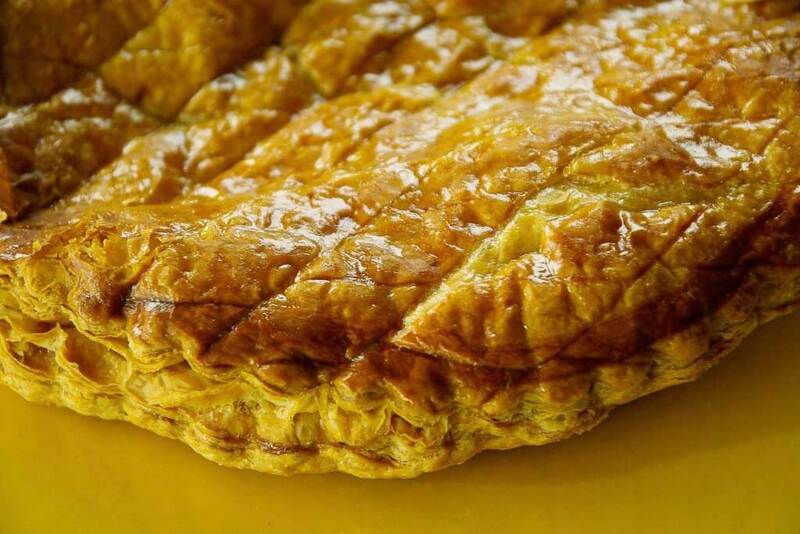 A very difficult contest, indeed, which in 2018 was won by Mahmoud M’Seddi from Boulangerie M’seddi (215 Boulevard Raspail, Paris 14). Apart from the 4000€ prize, Mahmoud will have the honor to serve his baguettes to the Elysée Palace (the French Presidential Palace) for one year. 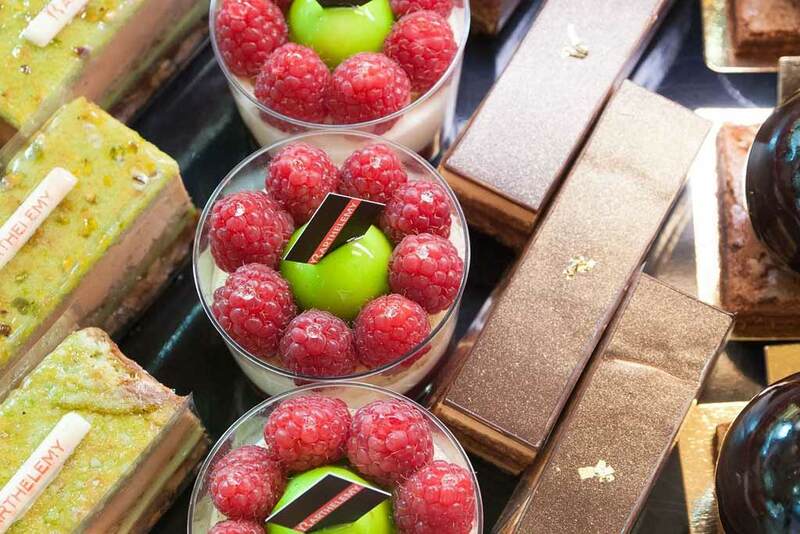 Come to this Paris food fair to discover the latest sweet treats and recipes with a great dose of glucose. If you are a fan of macarons, chocolate and French pastries in general, look no further: in this fair, they are the stars! In Sugar Paris, you will find selling exhibitors but also workshops and cooking courses. Next Dates: no festival in 2019, Sugar Paris will be back in 2020! This is the largest rum fair in France and the largest in Europe by the number of rums present. 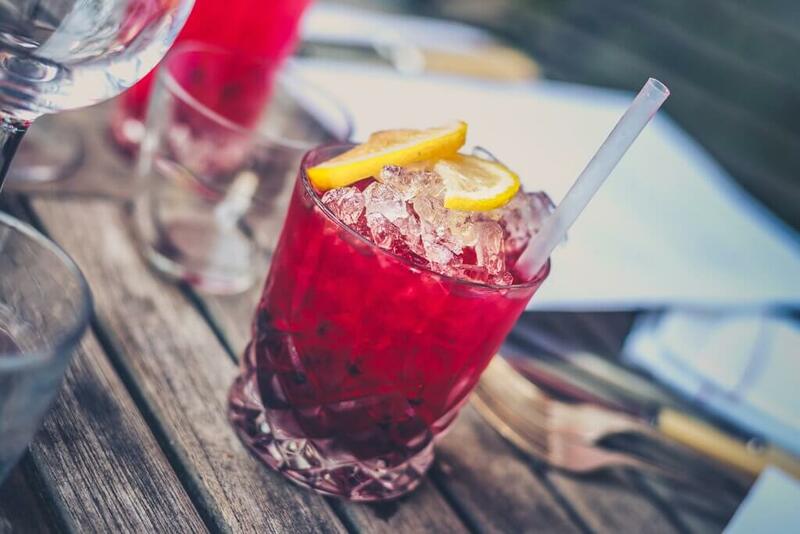 This alcoholic festival includes master classes, rum tasting courses and a couple of bars. Are you going to miss that? 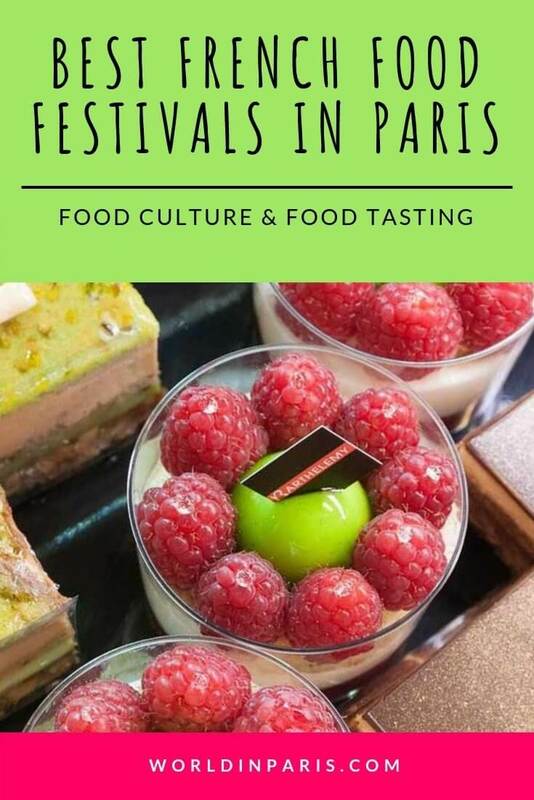 The festival Taste of Paris is one of the most famous French festivals, proposing the best food in Paris through ephemeral cuisines, gastronomic meetings with professionals and amateurs, and plenty of recipes and cuisine secrets. In addition, there are selling stands, performances, and other workshops. 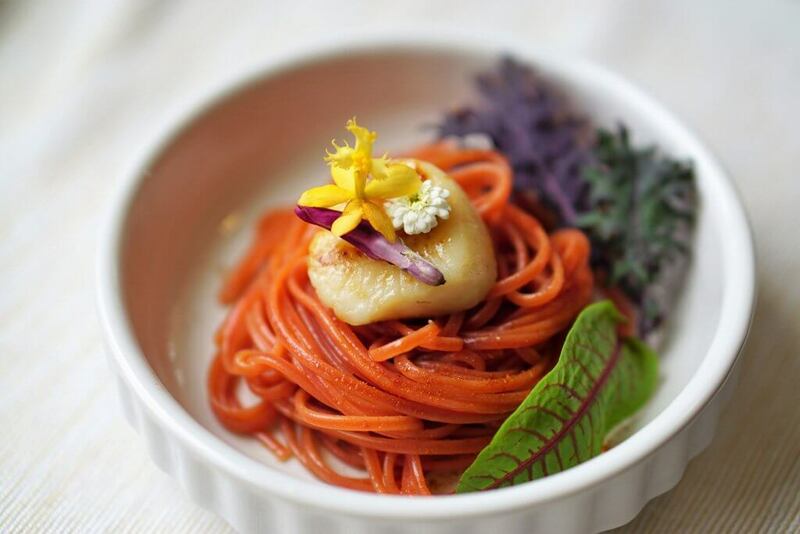 Produced by Taste Festivals, Taste of Paris is part of a worldwide network of more than 20 events hosted in the most important cities like London, Toronto, Sydney or Hong Kong. Taste of Paris is held at the magnificent Grand Palais so you can only expect for a superb foodie experience. 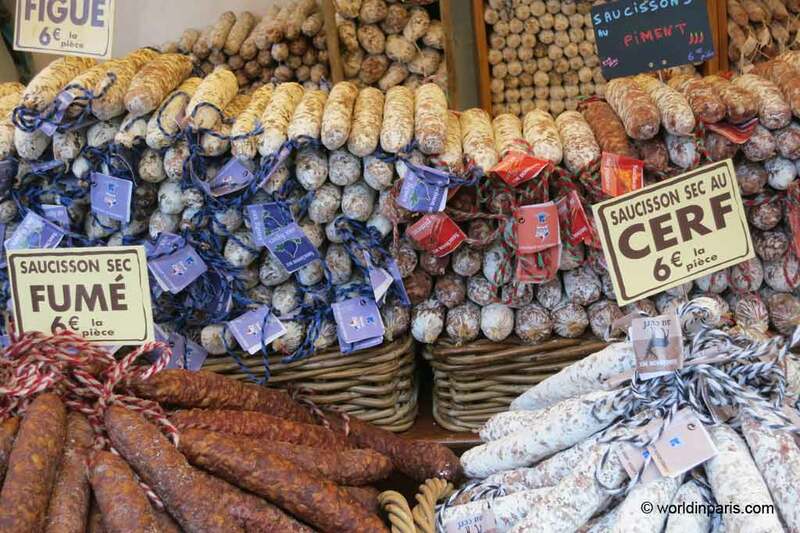 If you don’t know what to eat in Paris, we are sure that you will find plenty of ideas at Taste of Paris. This is the only festival in Paris and Ile de France exclusively dedicated to crafted beer, bringing together the independent actors of the French craft beer movement. During this week expect lots of cool events like a homebrewing contest, beer tasting, and a « Grand Finale » closing day festival. 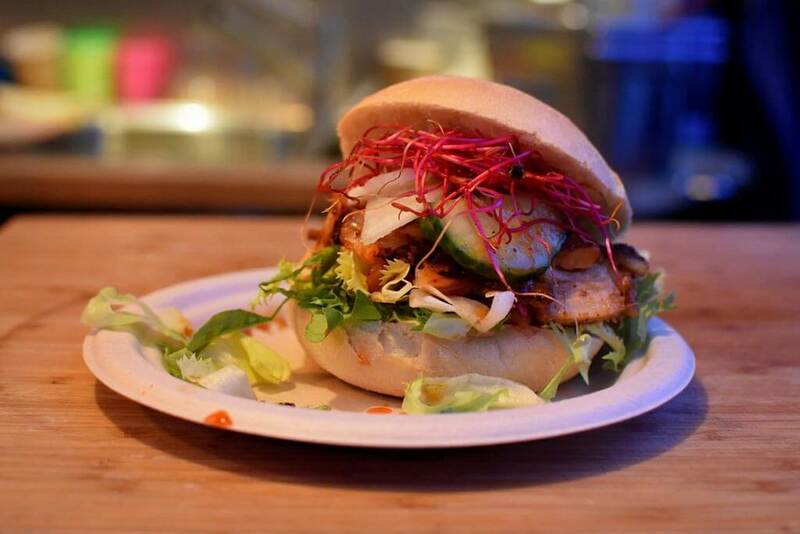 The Paris Street Food Festival is a funny food fair centered around food trucks and street food in Paris. During the day, visitors to this food truck festival can try the tasty food proposed by original food trucks. Later in the afternoon, they can vote for their favorite food truck: what is the best street food in Paris? By the end of September, Paris celebrates the gastronomy thanks to an event of very good taste: Goût de France. This festival’s main goal is to make gastronomy accessible to a greater number of French people and enhance the diversity of cultures. This is the biggest food and wine festival in Paris for professionals, with the best of French food and drink and more than 300 selling exhibitors. 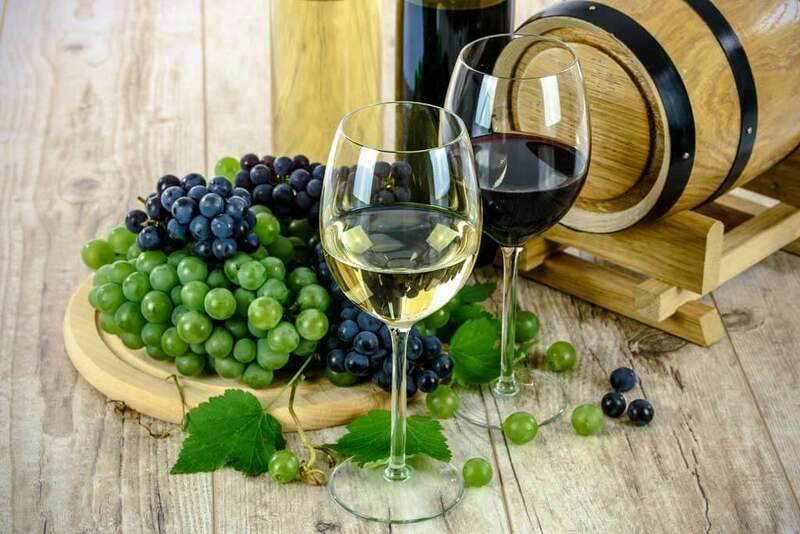 At Gourmet Food and Wine Selection, exhibitors come with their latest products and services including gourmet foods, wines, and basic products. This is for sure one of the best food festivals in Paris. 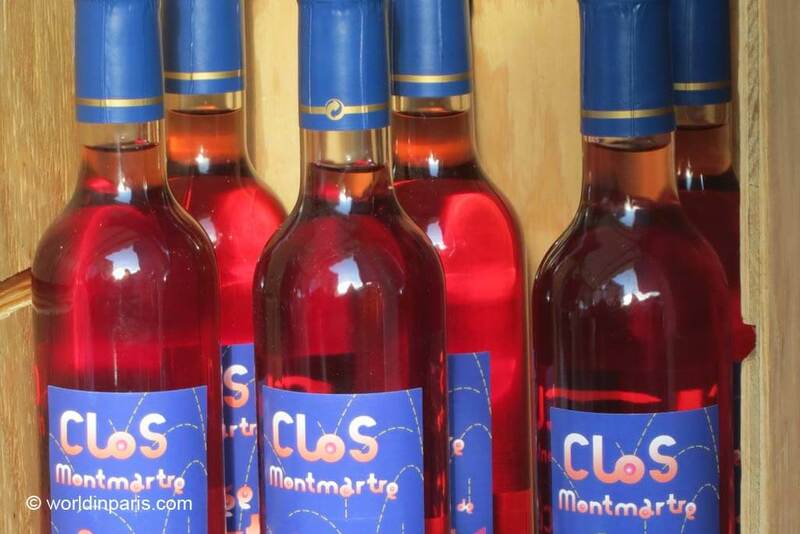 This Paris quintessential neighborhood welcomes October with the new harvest from Clos de Montmartre, located not far from Sacre Coeur. This wine festival in Paris is a colorful and popular festival where traditional French food and wine are the main stars. Beware that this is the third most frequented event in Paris after Nuit Blanche and Paris Plages: more than 400,000 visitors are expected on the streets of Montmartre so if you want to avoid the (biggest) crowds, we strongly recommend you to avoid Friday night and Saturday night. 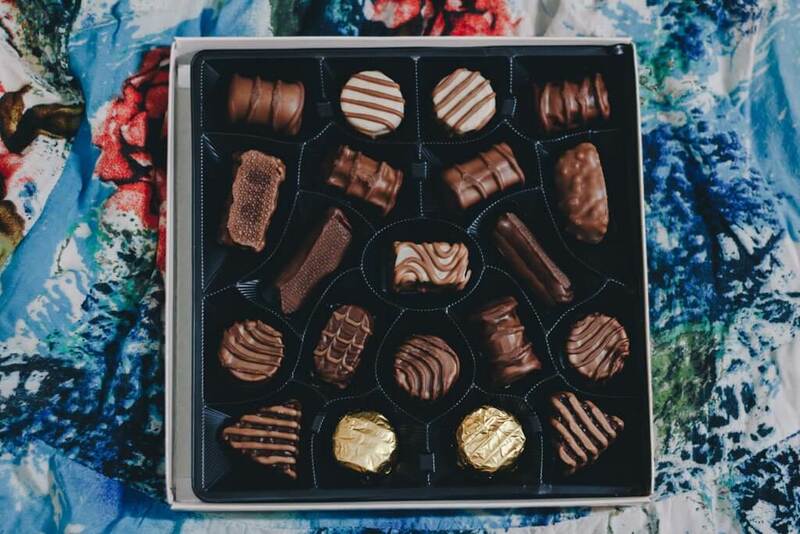 This fair, you guessed well, is dedicated to Chocolate and it attracts every year chefs chocolatiers, designers, confectioners, chocolate experts and of course chocolate lovers! Apart from some chocolate tasting and buying, there are other activities and shows, always related to the world of chocolate. This is a good example of an excellent marketing campaign because let’s be honest, Beaujolais is not the best French wine at all! 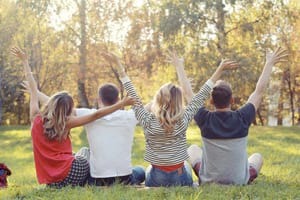 Despite the Beaujolais itself, this is one of the most known French festivals and drinking Beaujolais is a popular tradition in France (and now also around the world) celebrated with friends, family or co-workers and which lasts 60 years already. On this day almost all the bars and bistros of Paris celebrate the New Beaujolais and lots of tasty treats come with. 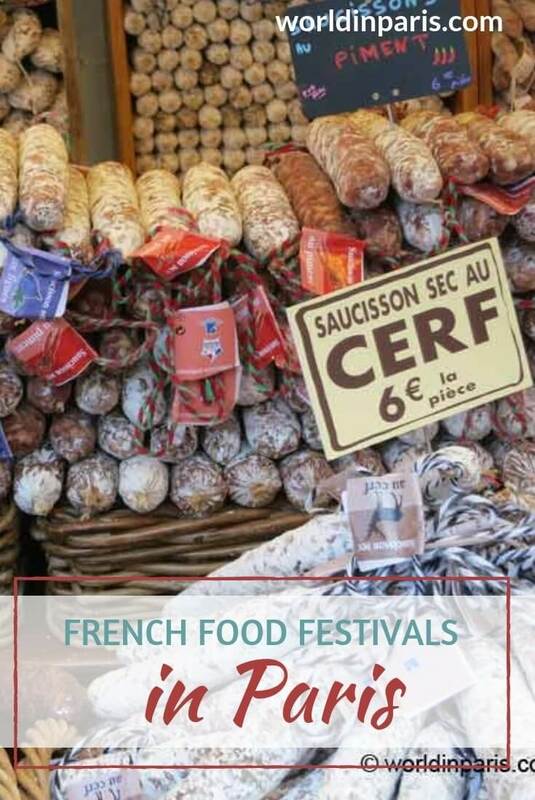 Come to this interesting French food and drink fair to buy fresh and regional products from all over France, with the possibility to do some food tasting and to eat on site. One of the best food and wine festivals in Paris to see (and taste) all the goodness France has to offer. During the year, the organization proposes different events and dates so we suggest visiting their website to check the different upcoming food festivals, dates, and locations. On the website, you can also download a free invitation to the events. This is the fair for wine lovers and also the best chance to know about new wine-growers, wine producers and of course to drink some wine! Join their wine master class to learn about the best wines. 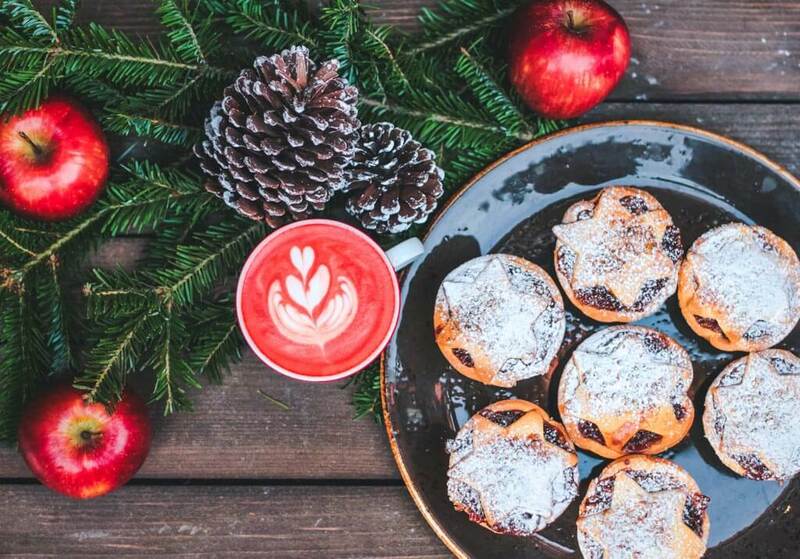 Winter in Paris comes with this great Christmas food exhibition. Salon Noël Gourmand is dedicated to all those products which are somehow linked to Christmas and New Year celebrations: traditional French food, French pastries and of course lots of wine and champagne. A unique fair in a unique location, where all the exhibitors are present at their stands so you can discuss with them. Do you like French food and food tasting? Which festival of food or wine would you like to check for yourself? Wow– these look amazing! I think of all the places in the world to do a food festival Paris must be one of the best. I’d love to go check it out for myself. This is the ultimate food festival list that I ever came across. And my favorite month would be October month food festival. This is another way of seeing Paris. I learn a lot reading this post. All the photos of food are amazing! 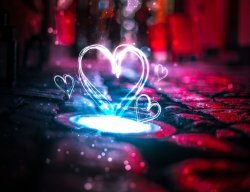 This might as well be the best article I’ve stumbled on lately! Almost like it was created especially for food enthusiasts like me haha. The cocktail week sounds great and so many bars are taking part in it! Dreaming of attending the Sugar Paris and the street food event! I think I need to spend the year in Paris! You had me at cocktails week at the end of January, but then also at macaron day!! So many incredible food festivals, I don’t know which I would want to take in more! Oh my! 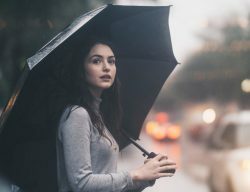 You are awesome for making this list. Do you live in Paris? It is the ultimate foodie dream destination. I wish that I can go to these festivals too someday. They all look blissful and scrumptious. If I could pick one only, I would choose the crepe festival. I love crepes. Food festivals are the ultimate way to immerse into a destination. There’s always so much color and liveleness around. Plus everyone is in high spirits. Personally, I would prefer desserts over everything else. Cheese Day and Sugar Paris sound absolutely delightful! If I ever take a trip to Paris, it would be fun to experience one of those! Oh my gosh, these are making my mouth water! I’m actually going to Paris next week, but of course there is no food festival written for June! How sad. Guess I’ll just have to make another trip! The food is amazing in Paris. I love that they have a festival for everything – even for the gluten-free person. Wine and cheese and cocktails would keep me busy! Cheese, wine and pastries! Yum! Sign me up the every foodie festival they have – I’d happily eat my way through Paris for a year! Then I will focus my efforts just on making my way through the many varieties of French wine between June and August. A nice glass of cool chenin blanc is so refreshing in hot weather! French food and fine wine? Who can resist? Ahhh Paris is such a romantic city and one that I would love to spend weeks getting lost in. Yum my mouth is already watering. That first photo of the crepe looks so incredibly good. This post made me hungry!!! The photos you added, oh gosh!!!! I think I’d go for crepes and probably a King’s cake! My favorites would be the mid-May Taste of Paris and the end of September Street Food International Festival! Any kind of food festival or day has my name written all over it! And if you include wine… I’m so there. 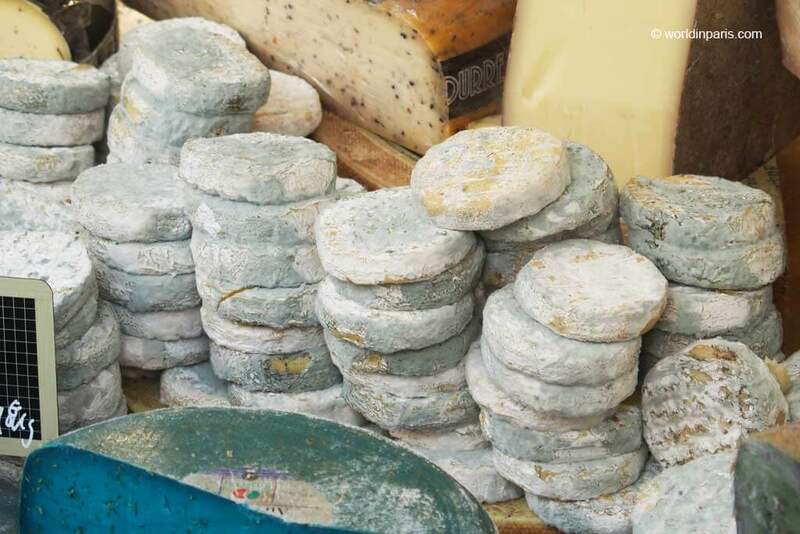 How awesome that Paris has a CHEESE DAY! I guess I just need to move here 😉 Thanks for sharing!